2012 for FingerTec USA has been an eventful one, having achieved goals we set in our milestones, and securing a number of prestigious installations along the way. One of our exciting developments for this year has been our inclusion in many hotels nationwide, with the Holiday Inn being one of those clients. 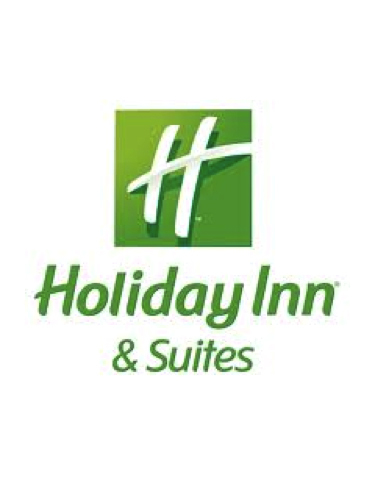 Holiday Inn is an iconic chain of 3-star budget hotels, which started out in America and currently has close to 2000 chain nationwide. The brand also has made its name internationally with its hotels located in Europe, Middle East, Africa and Asia Pacific. Having recently celebrated its 60th Anniversary, the Holiday Inn was one of the first hotel chains to introduce online booking and air-conditioning in their guest rooms; a feature now standard in most hotels. Being in the hotel industry, most of their employees work on shift that tends to rotate now and then. These shifts and unconventional working hours can be managed easily with the extensive TCMS V2 time attendance software which can be programmed to handle rotational shifts, and generate duty rosters per month. When approached by the hotel to implement a time attendance system, the solution came straight to our minds: the AC100C. The simple set up and ease of installation specifically on the AC100C has led to many sales prior to this. Through our excellent customer service and constant upgrading of FingerTec devices we have become the trusted brand in time and attendance in America as well as internationally. We’re also proud to announce that FingerTec systems have been even installed in the governmental offices of the Parks & Recreations Department in Tennessee. Launching many new resellers this year ranging from Saskatchewan, Canada to Puerto Rico to California, the FingerTec brand has truly made its made its mark here in America.